“By late June the image resolution will be four times better than the images made May 8-12, and by the time of closest approach, we expect to obtain images with more than 5,000 times the current resolution,” said Hal Weaver, the mission’s project scientist at the Johns Hopkins University Applied Physics Laboratory (APL) in Laurel, Maryland. 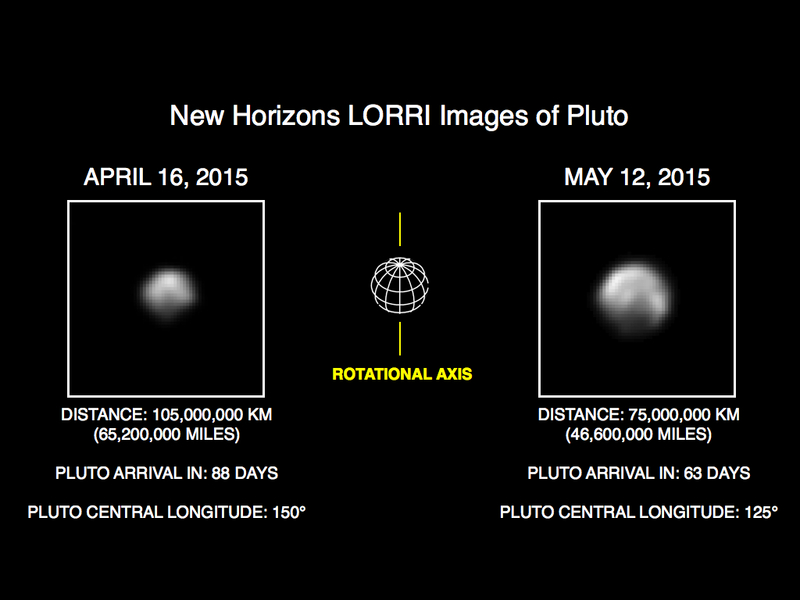 This entry was posted in Space & Astronomy and tagged NASA, New Horizons, Pluto. Bookmark the permalink.